Life in the US requires a credit card. You should ignore the hidden price increase to cover the 2-3% commission that the credit card issuer take, and focus on the convenience. 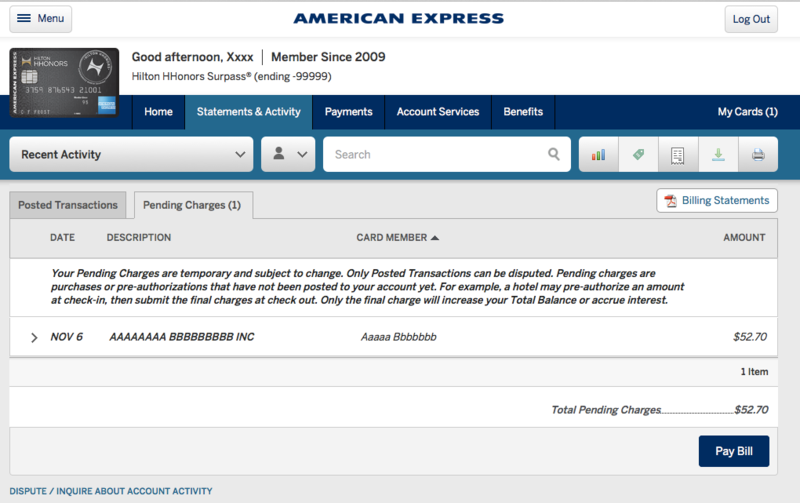 For some categories of purchase/charge the transaction goes on your account as a “temporary” transaction. These could be known as “pending” or “hold” transactions too. Say you’re in a restaurant, and use your card to pay - the pre-tip amount gets posted straight away. Some days later that is fixed to include the tip, and it gets posted to your account. While you can be notified of the temporary posting, there’s no automatic way to be notified of its conversion to the one posted on your statement. Not for Amex, Citigroup or Chase cards that is - I don’t know about the others. You see, you should compare your receipts to the the posted amounts to prevent mistakes and tip fraud. # Create a bunch of space so that ElementNotVisibleException doesn't happen quite as much. print "Element not removed: " + to_delete + " - not found"
print "Element not removed: " + to_delete + " - not visible"
print "Charge " + str(ix) + " marked for monitoring "
The script takes about 30 seconds to run. If not on your laptop, maybe you could put it on a box in the cloud so that you can run it daily. Please make a “monitor all pending charges” setting that has a lasting effect. That would mean the need for this script goes away. It would be great to able to add another “user” with lesser privileges just to read card usage information, that doesn’t require a social security ID as you have it now, as robots are not humans. We’re in the robot era, don’t you know. If you’re going to change the HTML for the page, can you issue a pull-request so that I can easily keep up. Consider making “monitor all pending charges” a thing in your portal. 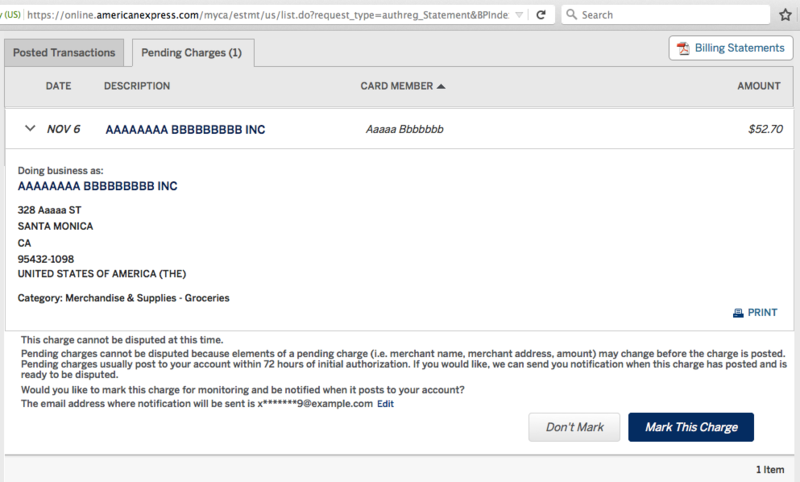 Amex holds #1 position amongst card issuers and beating them on features should be part of your approach.